Ties don't have to be only for business and stiff boardroom meetings. 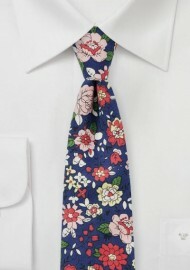 Neckwear designer BlackBird shows us with their latest floral collection in cotton that ties can be fun and casual. 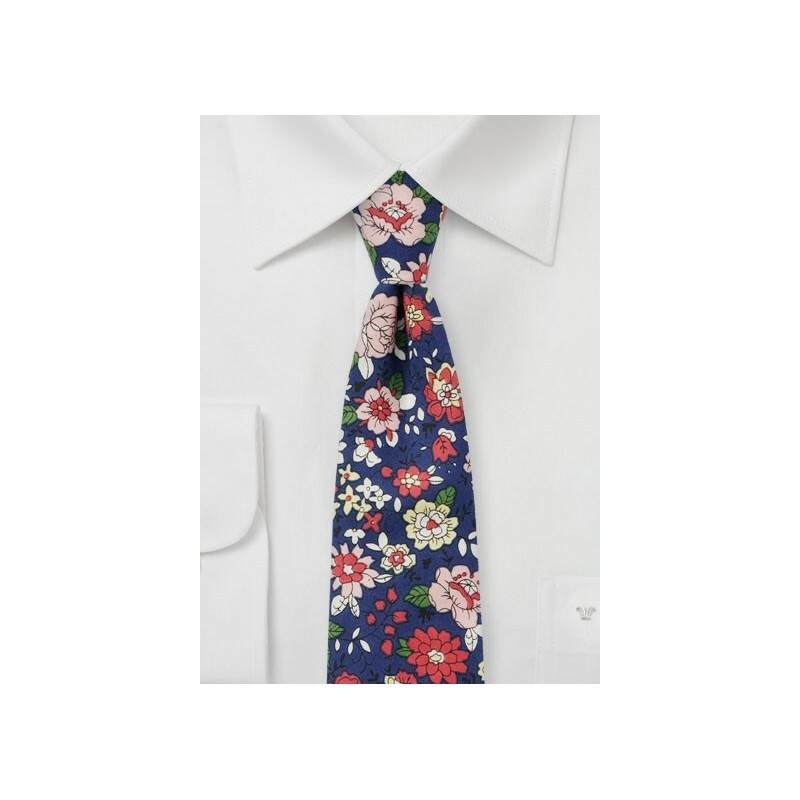 The vivid floral print on cotton fabric paired with a slimmed down cut creates a fun summer accessory that will get you compliments anywhere you go. We liked this tie the most when worn with light gray or blue slim cut suits. Fabric: Printed Cotton | Length: 58", Skinny Width: 2.75"